UEFA has announced that following the 2018 UEFA Champions League final in Kyiv, the 10-year partnership between Konami and the UEFA Champions League will be ended. The UEFA tournaments have been the key authentic feature for the Pro Evolution Soccer franchise, because rival FIFA series from EA holds the rights to the much more numerous FIFA organization team licenses. Commenting on the end of this long-standing partnership, Guy-Laurent Epstein, marketing director of UEFA Events SA, said: "Konami has been a strong licensing partner for the UEFA Champions League and UEFA Europa League, with our competition brand being heavily featured within the video game and as part of the popular Konami-organised UEFA Champions League e-sports tournaments. It has been a very cooperative and mutually beneficial partnership. UEFA would like to thank Konami for its tremendous commitment and support to UEFA club competitions for the last decade and we look forward to continuing to work with Konami in the sphere of UEFA national team football." 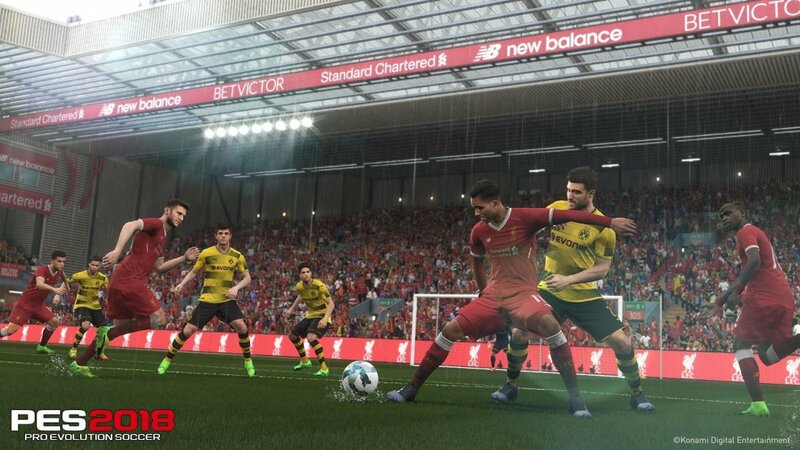 It is unclear how this announcement will affect official teams appearing in future PES titles. This year's annual PES entry has not yet been announced, but is widely expected to be revealed closer to E3.